Our canister vacuum cleaner was losing suction because the bag was full. I went to get a replacement bag, and found we had none in the closet. What to do? 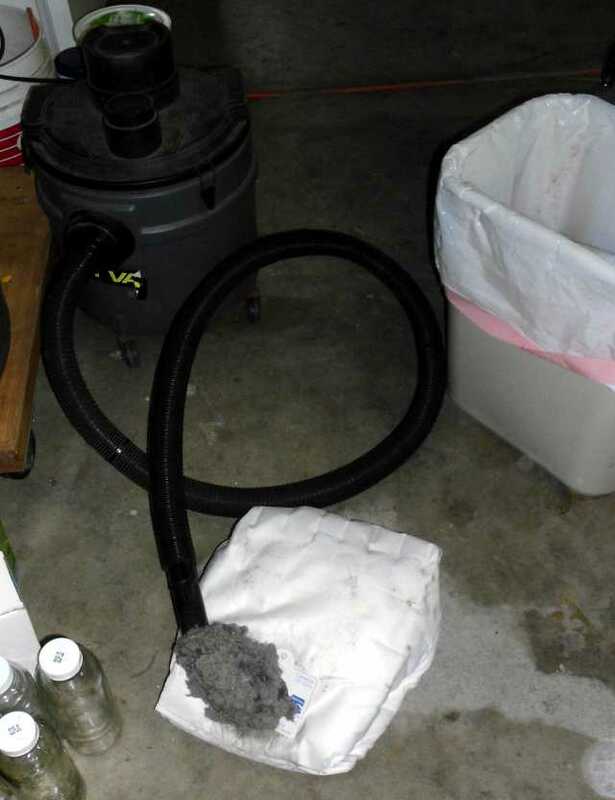 The contents of a household vacuum bag can be extracted with a Shop Vac. I had to pull the mass of dust and fiber out with my fingers, then use the shop vac to fish inside for the next wad. It took a few minutes. The newly-emptied bag worked fine.